By completing KYC process for your paytm account, you can enjoy more benefit and also become eligible for open an Saving account in paytm payments bank. 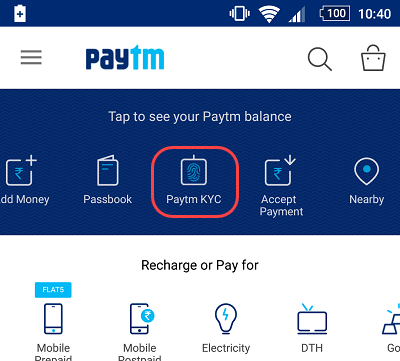 Read: What is PayTM Payments bank and how will it work? In order to open Saving account, you must first complete KYC (know your customer) process. This means you have to submit your ID proof and address proof to verify your details. Today I’m going to tell you how to complete KYC process for PayTM account, how to make your PayTM account KYC compliant. You can add Monthly 20,000 to Wallet, that limit will be removed. You can open an account in the PayTM payments bank. 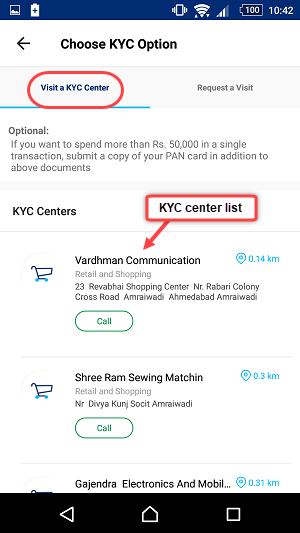 How to complete KYC Process in PayTM? You can use your Aadhaar card to complete kyc, if you have not Aadhaar card you can use other documents like Driving licence, voter card, pan card. To complete kyc process, just visit any nearest paytm kyc center and submit your documents. You can also request for visit home, the person will visit you and collect your documents. Once, documents collected your kyc completed within 2 days. 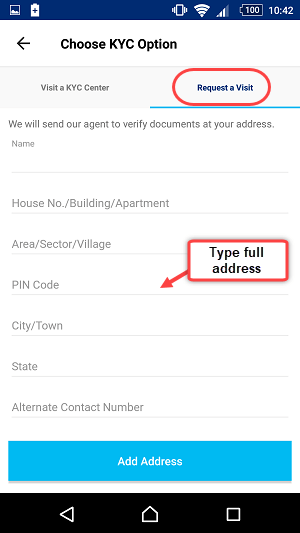 PayTM Application which is available on Android, iOS, you can submit KYC Request there and can personally visit KYC center or request to visit home. First, login to PayTM Application. 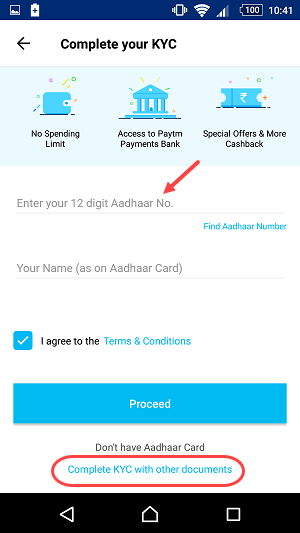 In the next screen you have to type your 12-digit Aadhar Number and tap on Proceed. If there is no Aadhar card then you can select “Complete KYC with other documents” and type the information of the relevant document and proceed. 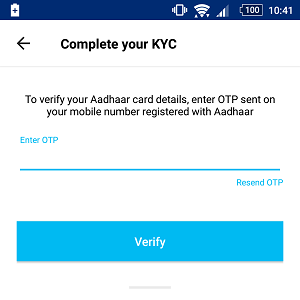 If you selected Aadhaar card number then in the next screen you have to enter a OTP PIN which will receive on your aadhar card registered mobile number. Now in the next screen you can see 2 options for KYC. In this option you can see the list of KYC centers near you. Just visit any nearest center and submit your documents. If you want to complete KYC sitting at home then you can select this option. You have to type your full address and the person will visit your home and collect your documents. If you visit mobile shops around you, you will find many shops which provide PayTM KYC facility, you just have to go there and submit your Documents. So in this way you can submit KYC for PayTM account. Once your paytm account is kyc enabled, you can add money up to 1 lac in your wallet and also be eligible to open a savings account in paytm payments bank.